The Marsaskala local council has asked Malta Environment and Planning Authority (MEPA) chairman Austin Walker to stop processing an application presented by the government to develop a caravan site, complaining that the council was not even consulted. 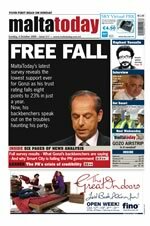 “We only learned about this application from the press and when we investigated we learnt that the notice was put on a rubble wall in a place which is only frequented by lovers taking cover of the dark,” mayor Mario Calleja told MaltaToday. Calleja claims that the council could not even object to the application as it did not know about it. The council had also requested a meeting with the Works Department to ask for more information on the project. The Marsaskala council was the first to propose a caravan in an unspecified location, in proposals submitted to the Labour Party in 2007. But the same council now insists on being consulted on the project. The Ministry for Rural Affairs and Resources claims that the site, which lies outside the development zones, was chosen in a “site selection exercise” by MEPA to pinpoint possible caravan sites. But the planning authority has refused to divulge the contents of the unpublished report that earmarked the site, limiting itself to saying the exercise was based on a “draft document” initiated in 2004. According to the ministry spokesperson, the Marsaskala site was “one of the best suited sites” identified by MEPA’s obscure selection exercise. The application includes both a derelict area, currently in use as a car park, as well as agricultural land in an area designated for rural conservation.